Interesting list here on Global Knowledge (a certification and training vendor (just like Berteig Consulting 🙂 ) ). CSM is #6 in pay at $107,396 (is it really 6 significant figures of accuracy? Wow!). Anyway, it is cool to see the CSM cert on such a list since I’m one of a small number of Certified Scrum Trainers. If you’re interested in coming to one of my classes and getting this certification for yourself, please check out my course listings in the sidebar on the right here on Agile Advice. There’s many in Canada, there’s some in the US and there’s some in China. Hopefully see you at one of them sometime soon! A ScrumMaster is an individual who both guides and protects the Scrum Team. One of the ways that the ScrumMaster protects the Scrum Team is by shielding it from interruptions. The interruptions that the ScrumMaster cares about stopping are those that are from outside the team when they are in a Sprint. Most interruptions are not related to the team’s current work and need to be blocked by the ScrumMaster so that the team will be able to focus on its current goal: the Sprint and its Product Backlog Items. All of the stakeholders of the team need to be aware that the ScrumMaster is responsible for blocking these interruptions. This awareness creates a freedom for the ScrumMaster to do this very difficult part of the job in a way that is transparent and effective. If the stakeholders are not aware of this part of the job, then they may become upset when interruptions are blocked or find ways around the ScrumMaster to get interruptions to specific team members. If the team is not aware that this is the ScrumMaster’s job, they may feel trapped, may lose hope in the Scrum process, may take on the work themselves (which will be too much for them since they are responsible for the execution of the Sprint goal), feel unsafe which could lead to hiding obstacles (which causes waste and delays), and it may even cause Team Members to accept interruptions as normal which will create an environment where interruptions and unrelated requests become widespread. All of these negatives effects and many more can be solved by the organization knowing that the ScrumMaster’s job is to shield the team from interruptions. To learn more about a ScrumMasters duties, visit the Scrum team Assessment. Agile Jobs in Beautiful Saskatoon! Our new Agile PM will manage full life cycle website/application development projects using the Agile methodology, work closely with our strategists, designers and development team and other stakeholders to manage requirements, scope, milestones, timelines and budget. As an Agile Project Manager at zu, you enjoy working with other talented people and succeed when we deliver a project worthy of being called “zu-made” to a client. You live to under promise and over deliver. You have a passion for Agile Software Development. You are eager to work with and share your experiences with a team transitioning to Agile. 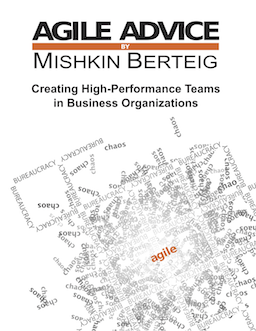 The thought of finding new ways to adapt Agile to an existing team excites you. As a team leader, you inject enthusiasm into the combined zu-client team, adding transparency and candidness to communication in all directions. Using your natural ability to develop rapport with all types of people, you liaise regularly with the client and team, keeping progress on track and delivering on expectations. You are excited by the idea of creating things that have never existed before, that learning and teaching are everyday occurrences, you don’t mind dressing funny from time to time, or bringing a dish to the potluck. If you have the required experience, pride yourself on being extremely well organized, have a magnetic personality, sense of humor and are eager to be a part of an evolving company, then what are you waiting for? Drop us a line! For more information about zu, head to our website: www.zu.com/live/careers.